With all of the bad things happening around the world it’s refreshing to be able to enjoy the happy stuff. It’s nice to know that there are still good-hearted people out there just trying to do the right thing to make the world a better place. These are the people who sacrifice their happiness to make others smile. The ones who go out of their way to make everyone feel comfortable in otherwise uncomfortable situations. There’s more of them then you would ever believe. 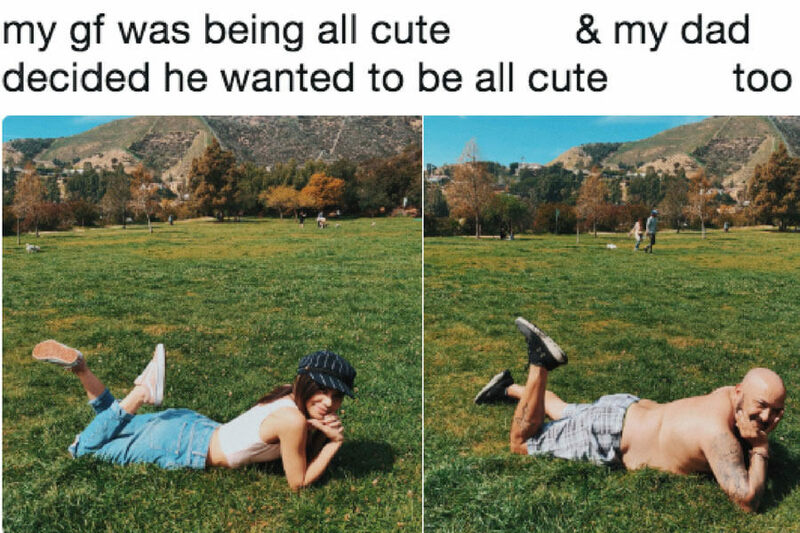 This article showcases some wholesome people who are doing some wholesome things while sharing some wholesome memories. 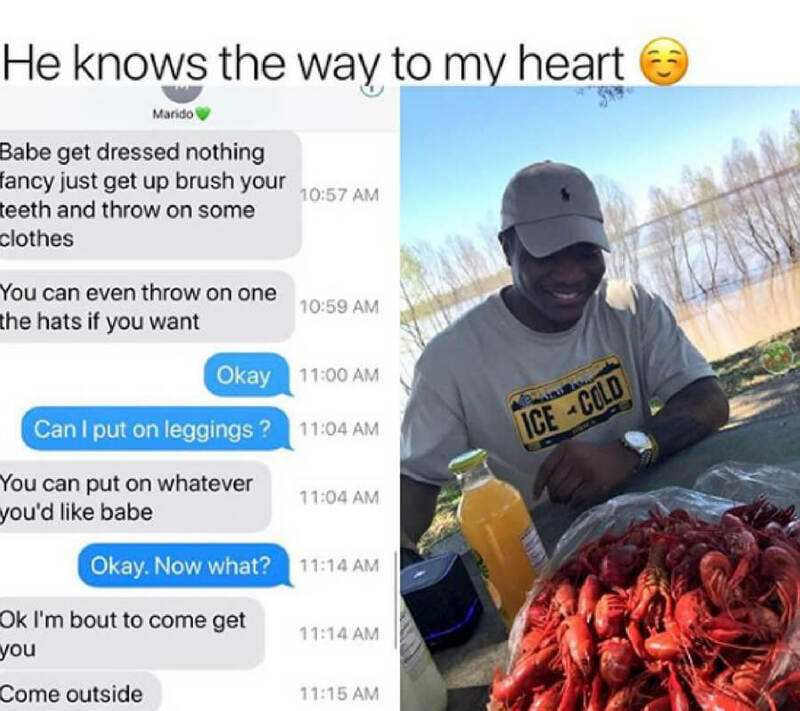 This is a real sacrifice that can quickly go overlooked in a relationship. The pink and red Starburst are BY FAR the best flavors. It can be torture to eat a yellow one at times, but someone has to do it. 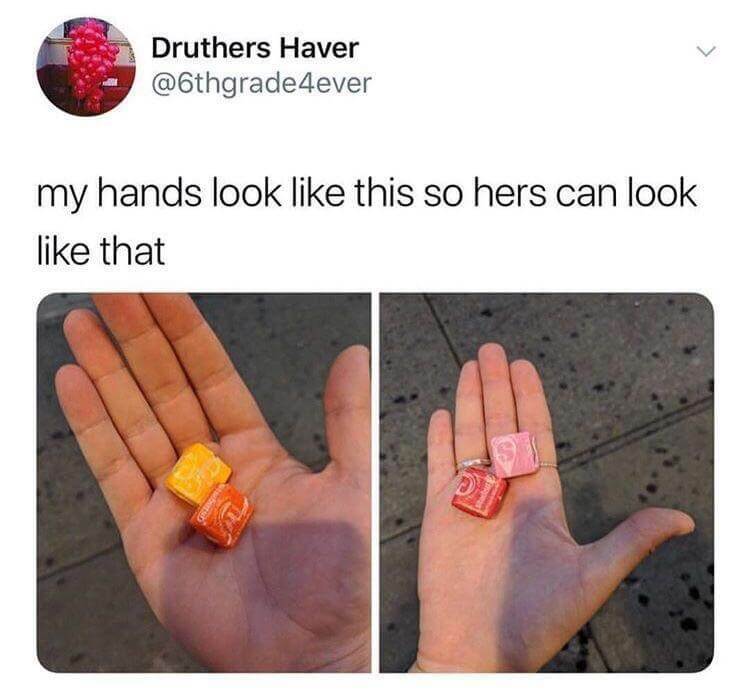 A bad Starburst has the power to ruin your day, but you do what you have to do for your significant other. 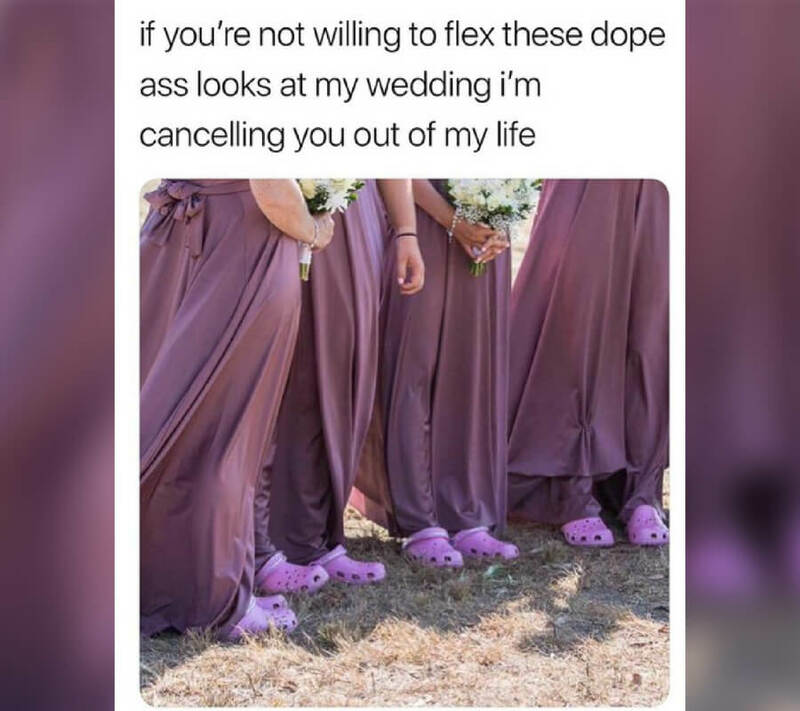 It takes a particular type of friend to wear Crocs at a wedding without even questioning it. They deserve a lot of credit. With that being said, Crocs are probably the most underrated footwear in the world. First of all, they’re comfortable. Second of all, they’re practical for EVERY occasion. What more can you love? 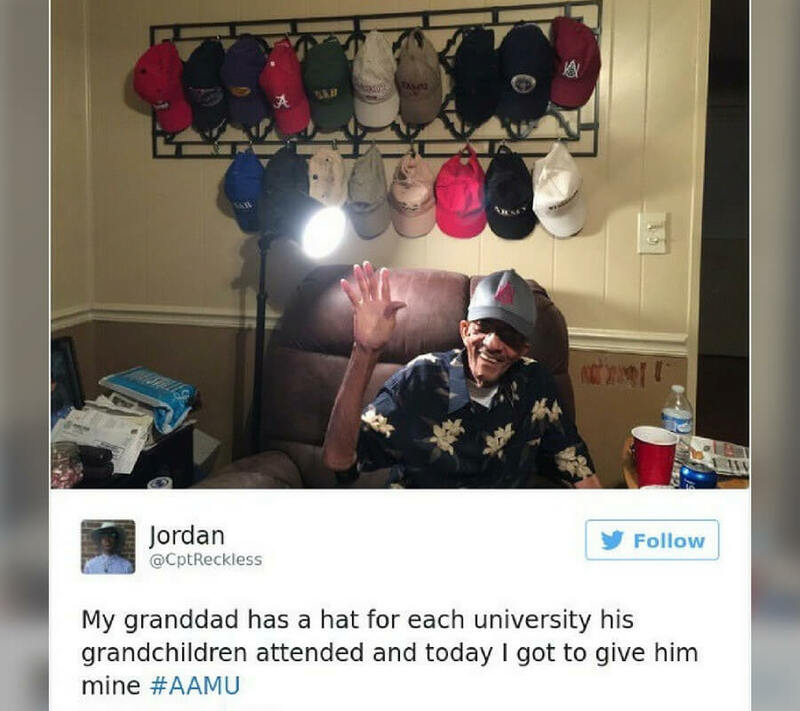 Is there anything more wholesome than a grandparent who is this proud of their grandchildren? The easy answer is NO. The genuine love that grandparents give their families is unmatched by anyone else, and it’s heartwarming, to say the least. 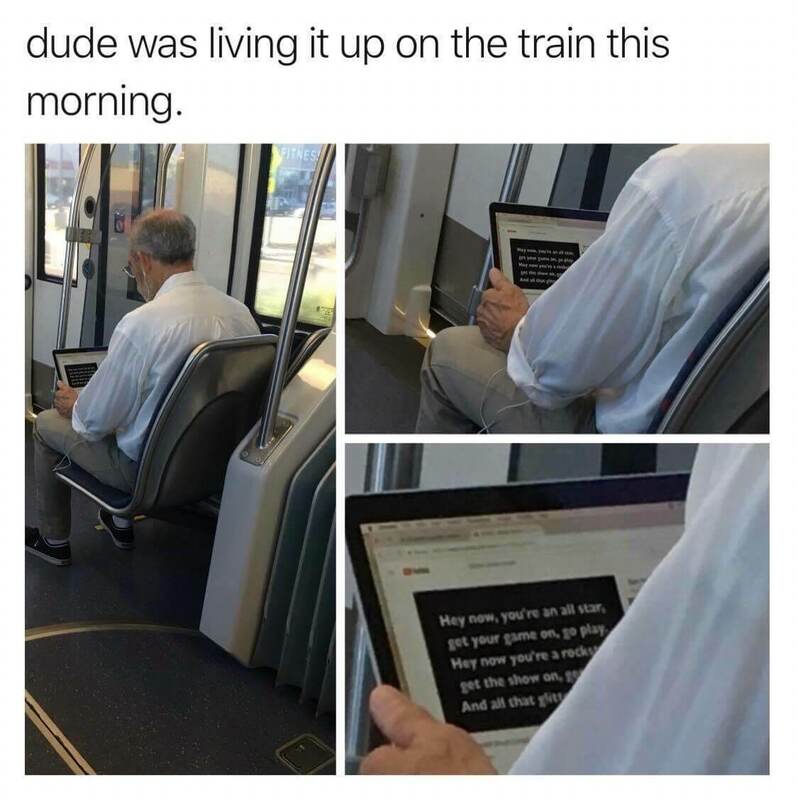 Coming up, an old man on a train listening to music in the cutest way possible. We need to give preschool teachers more credit. They have to deal with some of the worst kids and behaviors without really being allowed to do anything about it. 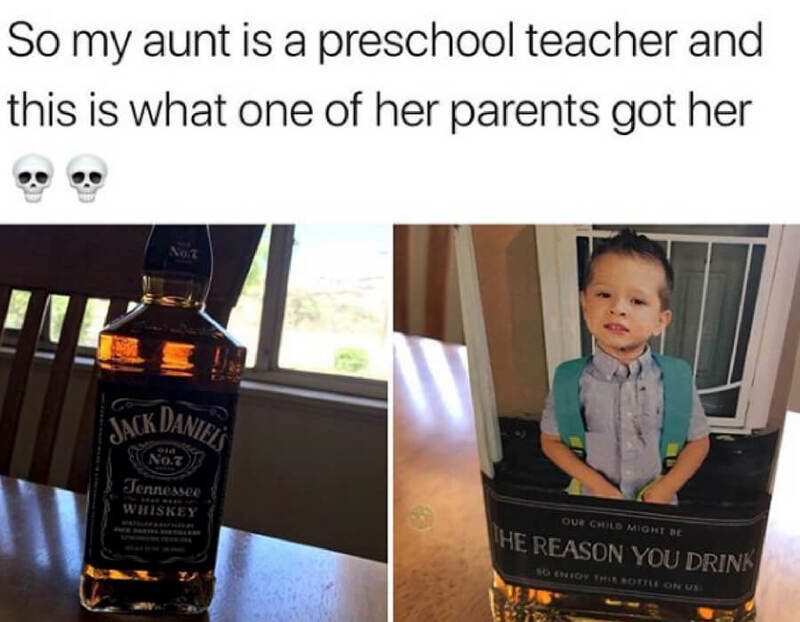 Kudos to this parent who gave this more than an appropriate gift to her son’s teacher. It’s funny but useful, two great features of a good present. Taking good pictures is more important now than ever before. Most people only know us from what they see on our social media accounts. We need to make sure that we’re showing the best angles to give the perception that we’re models when in reality we work at Wendy’s. 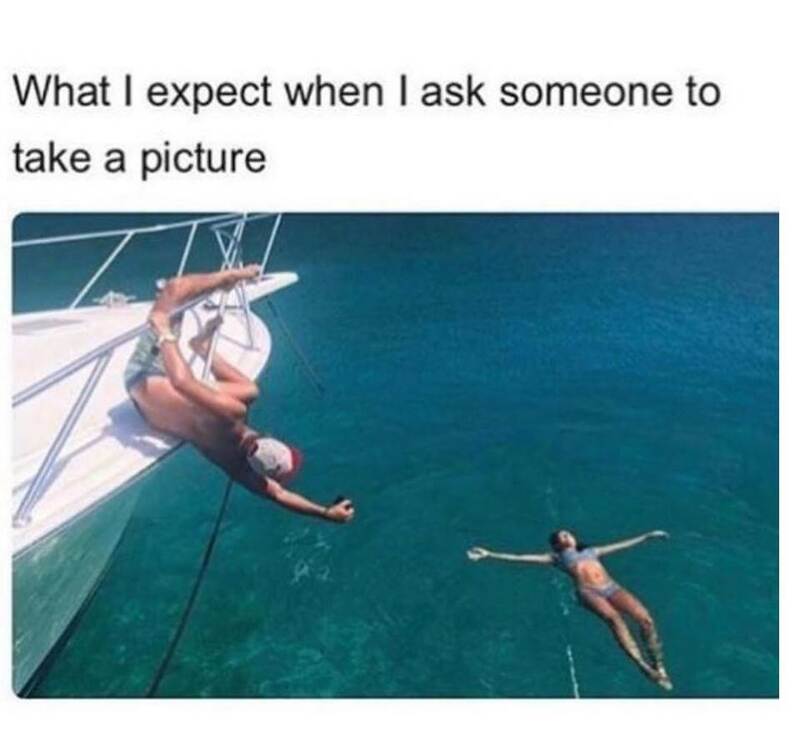 To get the best pictures you need dedicated friends who are willing to risk their lives to ensure you get the best angle. It’s nearly impossible to blame this guy for wanting to jam out on the train before going to work. “All Star” by Smashmouth is not only a classic song, but it’s also an inspiration to be the best version of yourself. We could all use a little more Smashmouth in our lives. Just ahead, a woman’s lifelong dream comes true in the most magical way. If you’ve lived in a house with a dog that your parents love more than their own children, this seems fairly normal. People who are crazy about dogs will literally treat them better than their kids without hesitation. 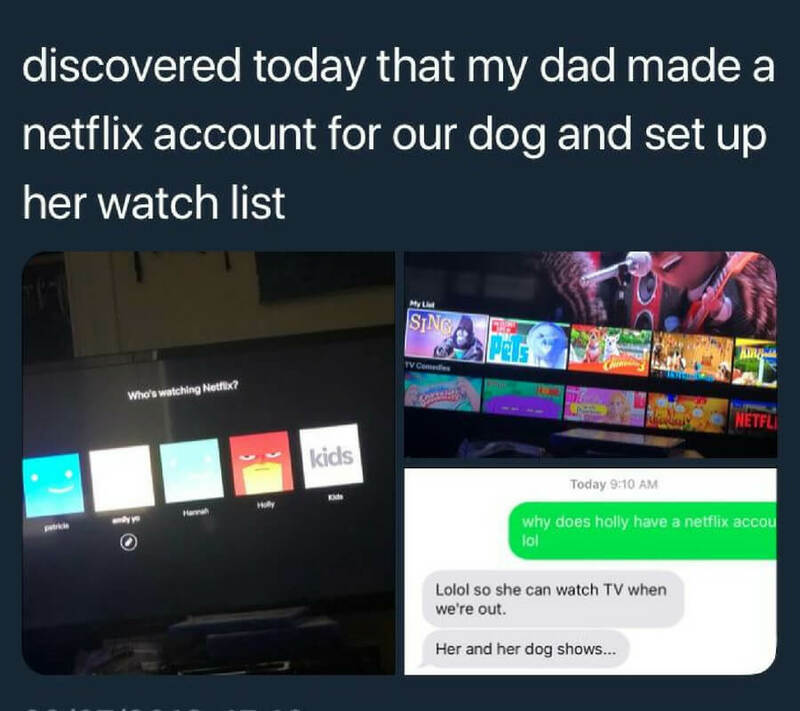 A dog doesn’t need a Netflix account yet here they are. I don’t know about you, but this scares me a little bit. If dogs start to understand basic economics I think we’re all going to be doomed. Ah, whatever. 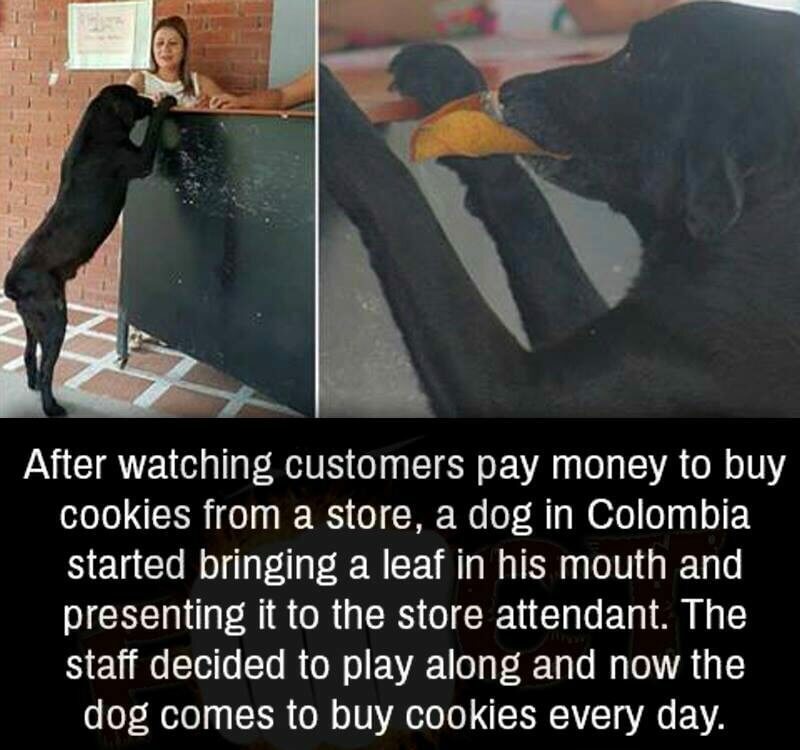 The fate of the human race doesn’t compare to how adorable this pup is for paying for a cookie with a leaf. First of all, this costume is REALLY good. Most of the time costumes are cheap and just trashy versions of the real thing, but this one indeed isn’t. 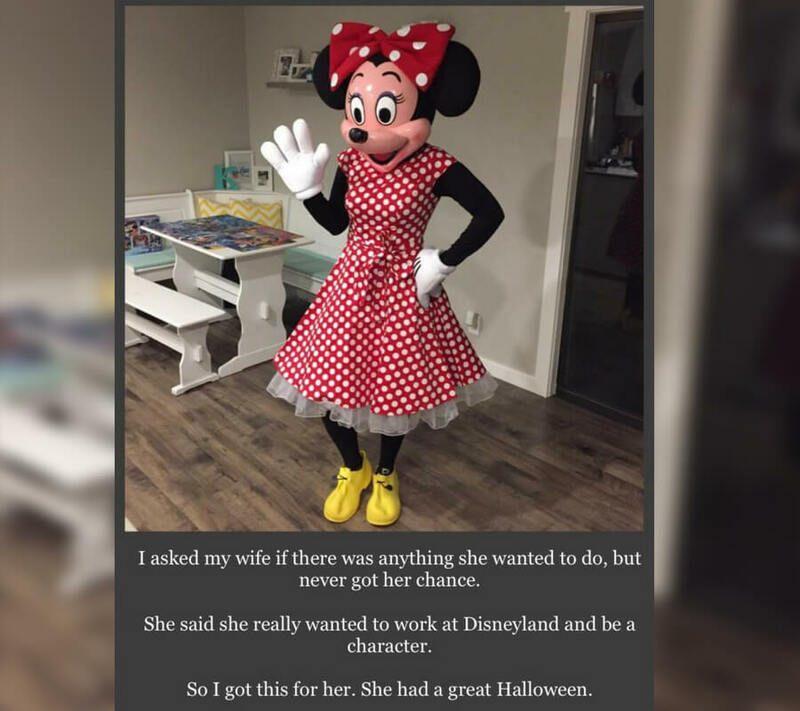 I also don’t mean to step on her dream here, but being Minnie Mouse seems like a relatively low bar to be a DREAM. Coming up, a life hack that could’ve saved you a lot of trouble when you were younger and it’s adorable. It should be noted that friends can come in any shape or size. 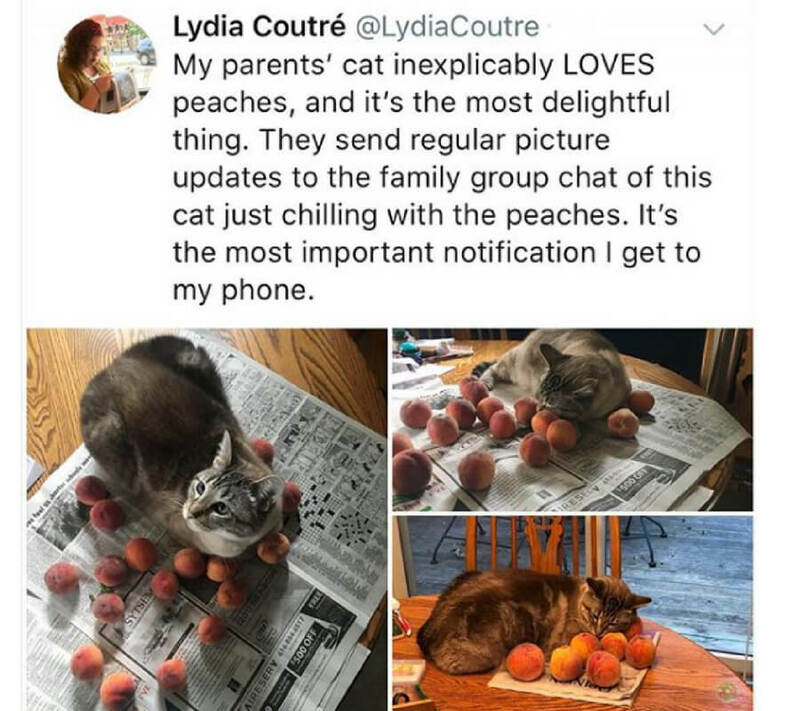 If a cat wants its best friend to be a bundle of peaches then so be it. It reminds me of the guy who made the news because he’s best friends with his pool inflatables which I feel like is way more bizarre than this. It shouldn’t come as a surprise that the key to most people’s heart is food. Food literally and figuratively runs the world. If you can continue to surprise your loved one with different types of food you can coast into a 50-year marriage. This guy understands precisely how it should be done. 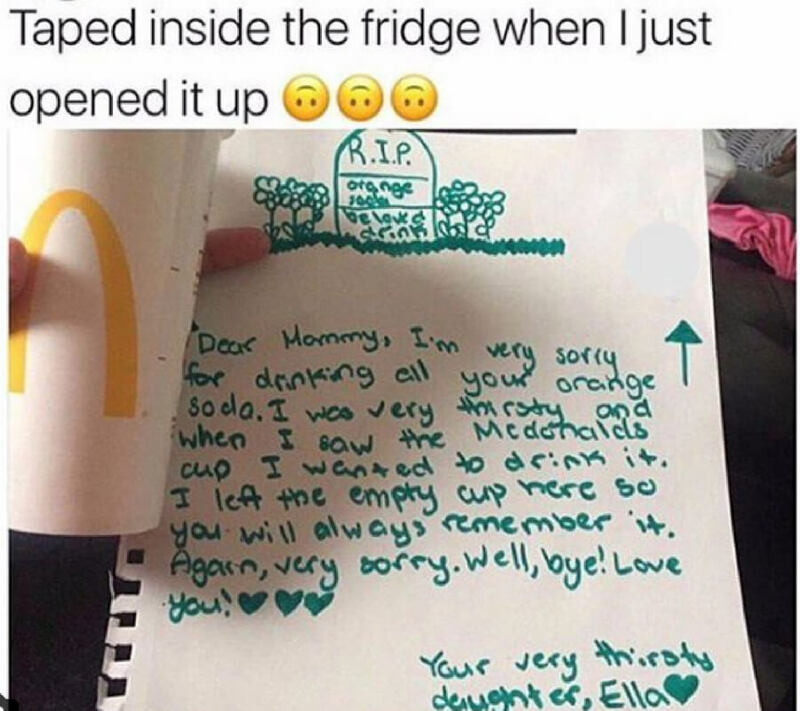 We can all learn a little something from this little girl’s note to her mom. Basically, we can get away with anything as long as we write up a nice letter. This is a life hack that I wish I would’ve known when I was younger that probably would’ve got me out of a lot of trouble. Pass it on. Coming up, a police encounter that’s about as wholesome as it can be, I guess? 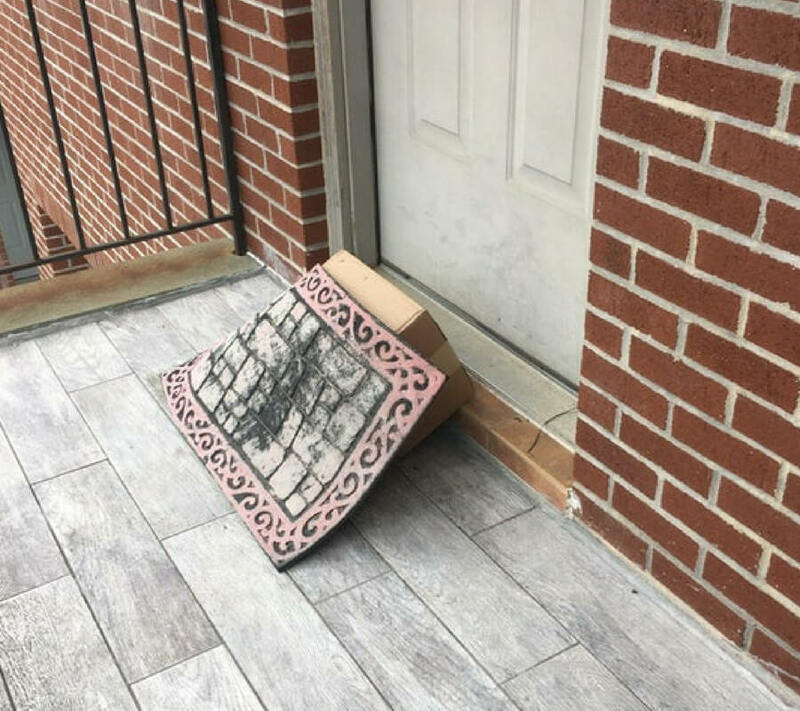 It’s becoming an epidemic that packages are starting to get brazenly stolen from porches and patios. It’s now up to the delivery drivers to try to hide the goods as well as they possibly can. I would maybe give this a 10/10 on the thought process and a 1/10 on execution. How Could You Ever Be Mad At That Face? 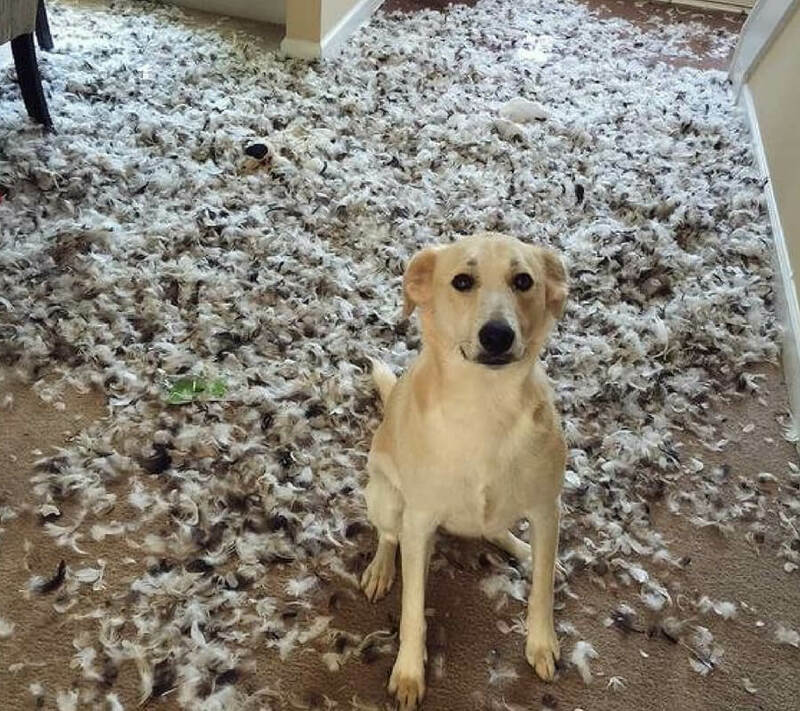 Don’t you wish that you could ruin the feather pillow or blanket and then get away with it scot-free? If you ever made this kind of a mess and then just sat there trying to look cute when your parents walked in you probably would’ve been whacked across the noggin. Dogs are just better, man. I’ve heard that the most insane criminals are the ones that you would least expect, and it’s safe to say this is unexpected. 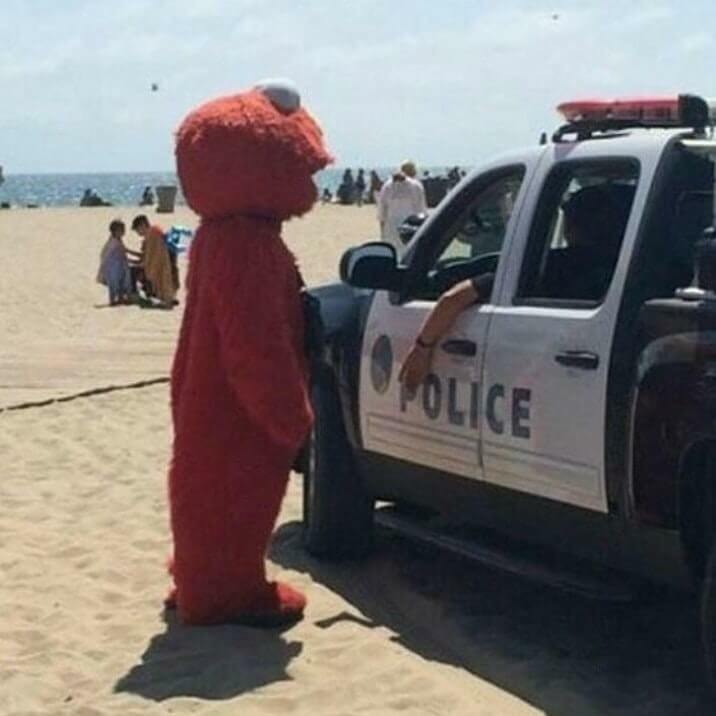 I will say, I’ve never seen such a wholesome interaction between a Sesame Street character and the police. Big Bird would’ve taken off running long ago. Just ahead, a heartwarming picture that shows complete strangers helping each other out. As you can see, it missed the mark just a little bit, but we have to give him an A for effort because he’s killing the pose. I don’t think the dad bod adds anything of value. 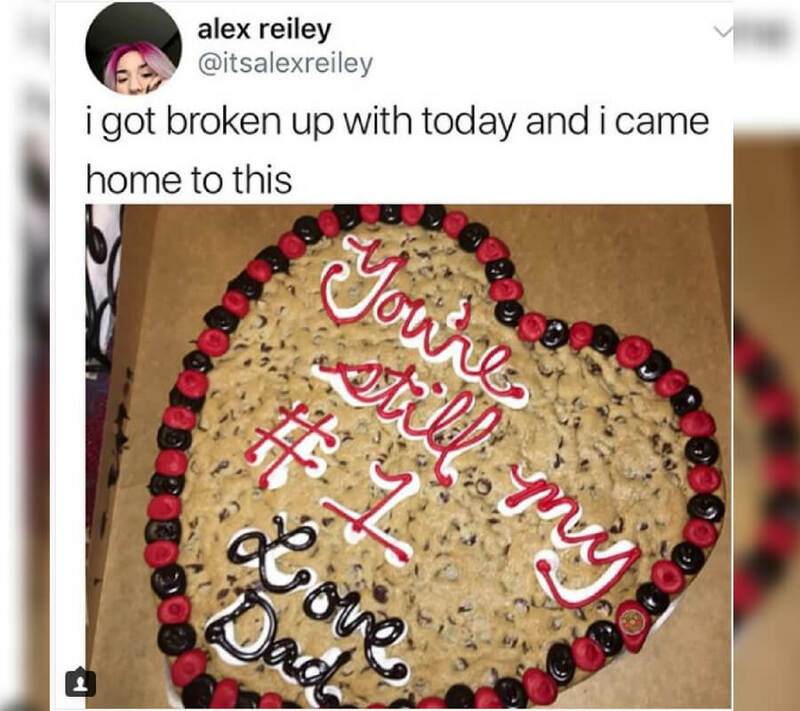 Getting broken up with can be absolutely devastating. It not only can ruin the day, but it can ruin the week and month. Coming home to a giant cookie and a cute note form your dad can make the biggest difference in the world. I can only assume she binge ate that thing in the 30 minutes following this picture. 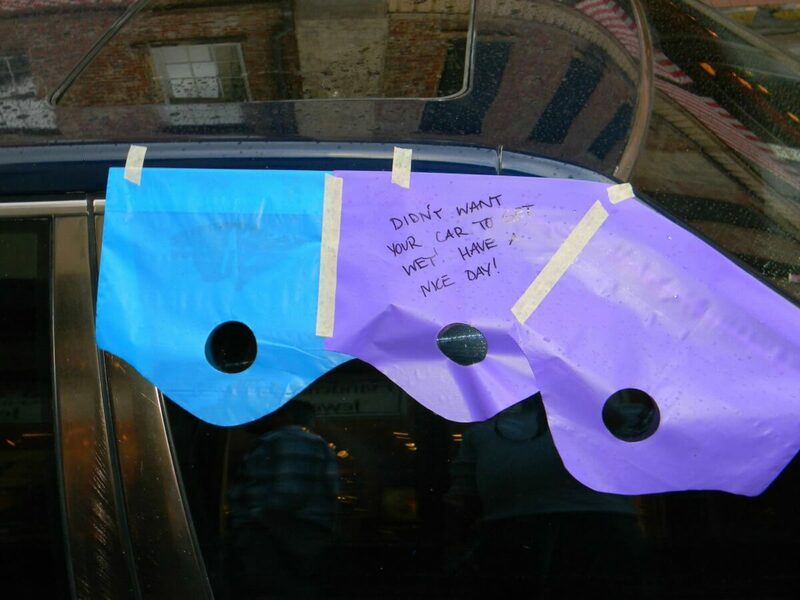 It’s really heartwarming to see regular people go out of their way to help strangers. It’s so easy to walk by an issue that doesn’t affect your life and just ignore it. It takes a certain type of person to feel the need to help other strangers who you’ve never had an interaction with your entire life. This little girl has some seriously mature compassion going on. 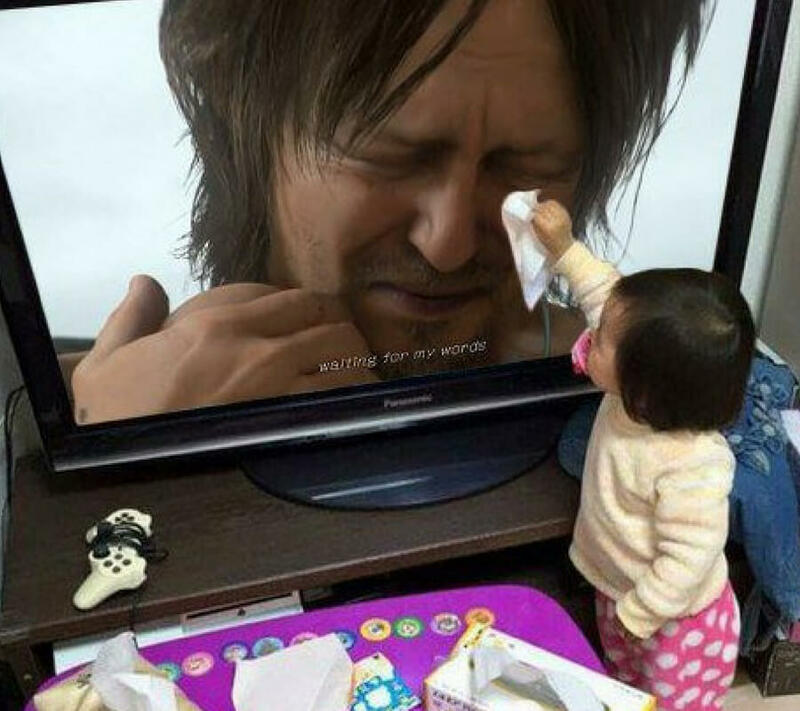 When she sees anyone crying she immediately turns into a mom and goes to wipe the tears. Perhaps we have the next Mother Teresa in the making right here? I don’t know, but either way, it’s so cute that I could faint. 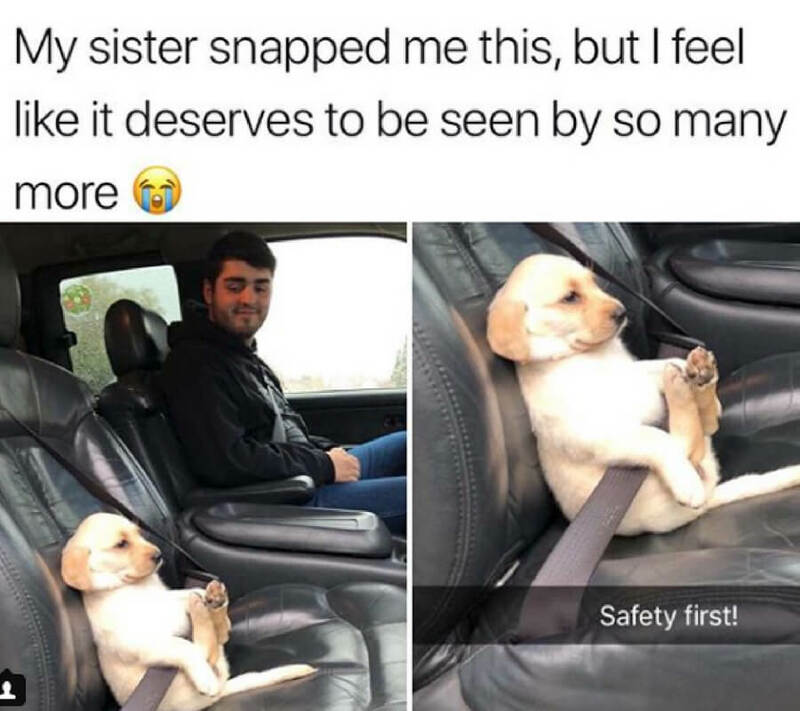 I don’t know how I’m supposed to just go on with my day without thinking of this little puppy strapped into a seatbelt. I’ve never seen something so adorable in my entire life. The way that its paws are gripped around the belt just melts my heart.